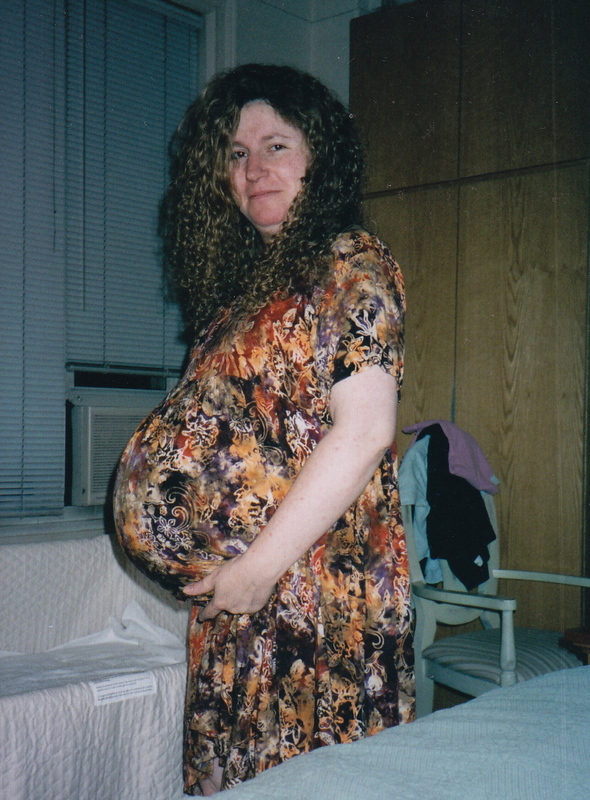 Me, April 2002, 5 months pregnant. Really. I got my bump early, what with carrying twins and all, moving from the "Is she preggo or just really fond of beer?" to the "Oh, yeah she's preggo!" stage in rapid succession. 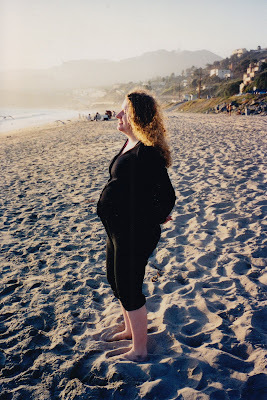 It helped get me sympathy as I puked all over Los Angeles and the Sundance Film Festival in Park City, Utah (almost in James Caan's lap) on my last business trips before I was grounded by my obstetrician. At Sundance, the actress Julie Benz, who played the pregnant vampire Darla in the (Buffy the Vampire Slayer spin-off) Angel TV series rubbed my bump "for luck." That was pretty awesome. On the beach at sunset. Maybe Malibu. I don't remember. It was almost dinnertime. I was getting hungry. My husband and I took our last trip alone together in April, a weekend getaway at Mohonk, a Catskill mountain resort just 90 minutes from the city (we had been admonished not to go any further). 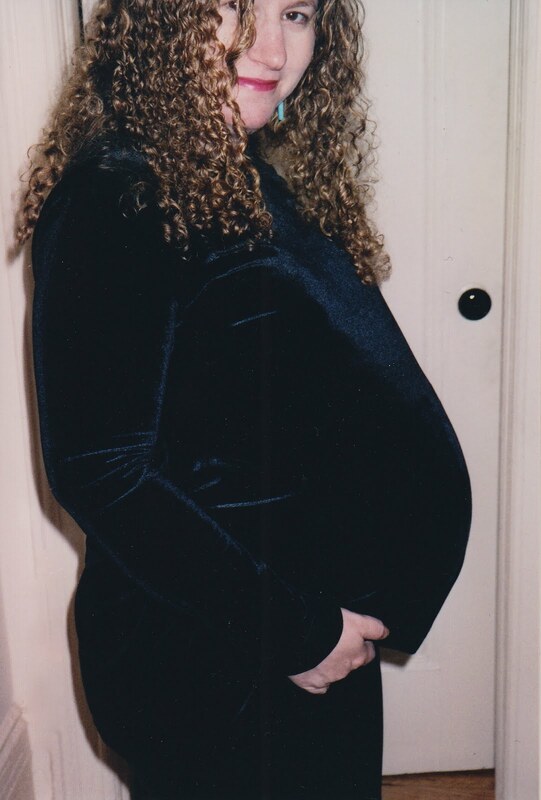 April 2002, 5 months Pregnant, 4 months to go! Right about now? 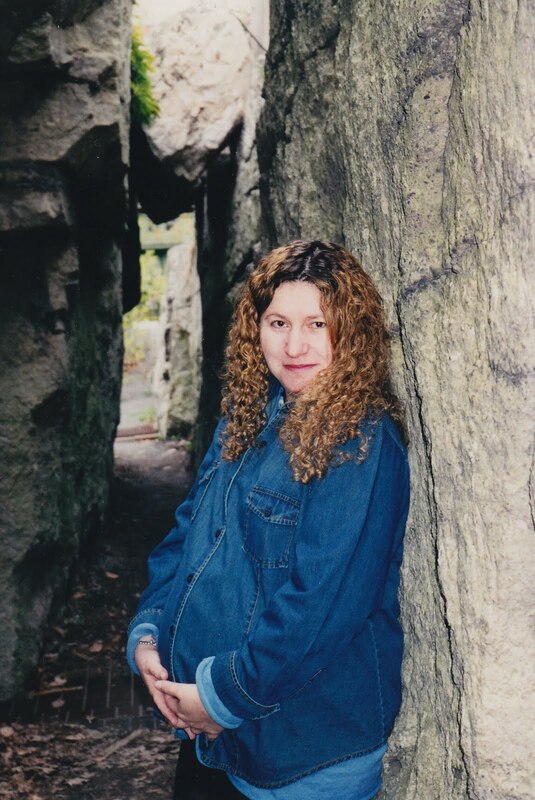 In early June, nine years ago? I was losing my mind trying to get our kitchen/bathroom/baby's room renovation completed before the babies arrived. Because twins without a kitchen? Really bad idea. Twins without a working bathroom (our apartment only has one)? Even worse. And a 3-week job had turned into 2 months and counting, of course. Already big as a house in early June, I couldn't imagine going full term, to that date I had awoken from a dream in January and spoken out loud with such certainty I'd marked it on the calendar: "July 29th -- I'm having the babies on July 29th!" 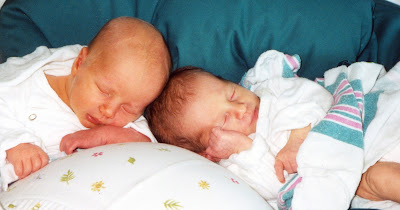 But there that date is, on their birth certificates. Nearly 14 pounds of babies. Worth every stretch mark, and then some. This was written for the Rockin’ the Bump Link-up at Shell’s blog: Things I Can’t Say. Come join in! And I dare any of you to show me one bigger!